Another year another…day in the sun? As the La La Land Oscars come to a close, it’s time to put up or shut up and lay our stakes into what we think are the likely winners. Every year has safe categories and iffy ones. This time around the main races are locked but there are serious doubts about two acting races and, unlike last year, the screenplay races seem up for grabs. So, as usual, I don’t want to bore you with a recap of the whole year, as fun as it’s been from when everyone thought The Birth of a Nation was going to win Best Picture until today. You can read all of it in its gruesome gory details here. Instead, last minute reminders about how to win your Oscar ballot. Rule No. 1: They vote for what they like. I type this every year and people don’t listen to me. They don’t vote for what they think is Best, they don’t vote for what they think sends a message. They walk into that theater or pop in that screener, watch a movie, and if it makes them cry or laugh, they like it, and they click it. The Academy members are no different than, say, American voters in election. Simple, straightforward. If the message is too complicated, they likely won’t like it. Rule No. 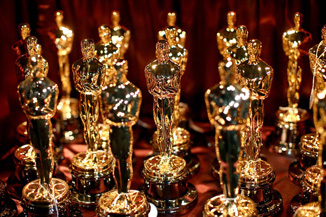 2: (A corollary) Your Worst Ballot-Filling Enemy is an Oscar Prognosticator. I see this every year. The Oscar blogosphere decides Sylvester Stallone is going to win—because they like him. How could Lady Gaga lose Best Song? They’ll say. Be careful with “sure things” that are wholly made up. This year, I wonder, for example, if they illuminati has overstated the love for Moonlight and underappreciated other things.